Ancient Egyptian Mummy MASK OF "QUEEN HATSHEPSOUT"
Sold on eBay by seller "BD"
Period: New Kingdom - 22nd Dynasty ( 945-712 B.C). Culture: Egypt. Material: Stone. 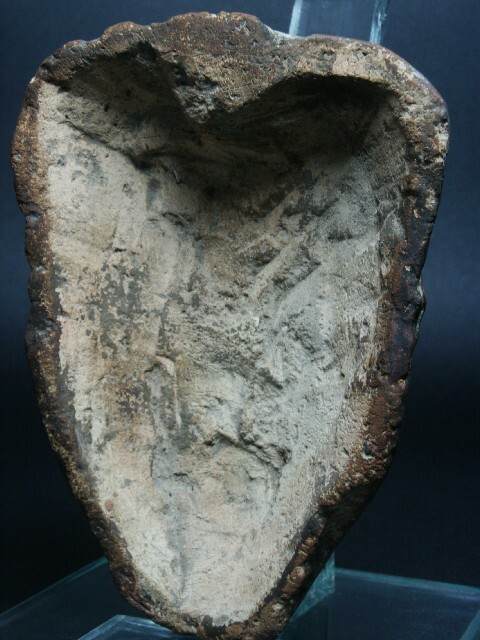 Size: Tall 5 inch ( 12.5 cm) x wide 3 3/8 inch ( 8.5 cm).Provenance: Private Collection.Condition: Outstanding. 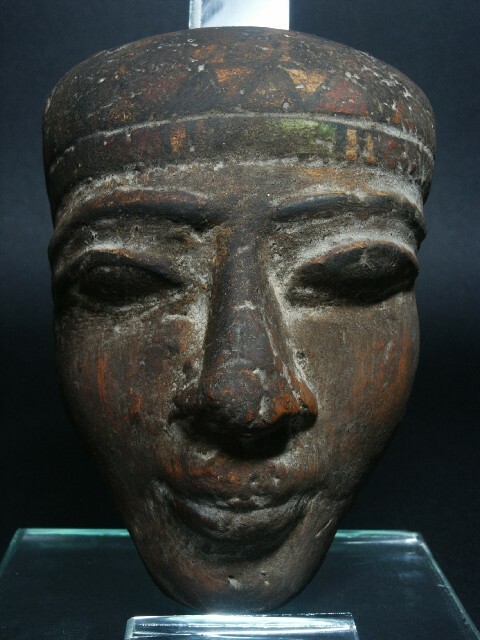 Description: You are bidding on Ancient Egyptian Mummy MASK of Queen Hatshepsout, is in good condition and totally intact, showing long age wear. The forehead is decorated by the first known colors in history, It's an amazing decorative piece. The face carries some hard ooze on it, but this does not detract from the value of the piece. It is a fabulous piece of art that you can own from the greatest civilization. you may not found another piece like this anywhere, Start your own collections today. BID NOW.